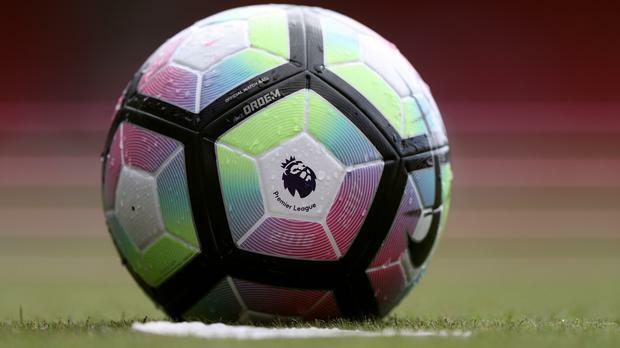 Premier League clubs are hurtling towards bankruptcy due to chronic overspending, according to a new report by financial analysts Vysyble. The report also claims the long-term implications of those losses could be a breakaway by the league's biggest clubs and the creation of a European Super League. Titled 'We're so Rich it's Unbelievable', the document is based on the accounts of all Premier League clubs between 2008/09 and 2015/16, the last season for which data is available. Based on the principle of "economic profit" - the difference between revenue and costs, including the so-called "opportunity of cost" of not doing something else with your money - the report claims Premier League clubs lost £2billion in eight years. One of the report's co-authors, Roger Bell, said: "Financially, football is failing. Britain's biggest football clubs are spending much, much more than they are making. "The Premier League, and its executive chairman Richard Scudamore, should be very worried. "Our analysis shows clubs are losing a record £876,700 every single day. Despite TV bringing in huge amounts of cash every year, it does not meet the many millions spent on players' wages. "Clubs needs to face reality about their dire financial situation before they can't afford to pay the bills and some go to the wall." This stark warning runs counter to most recent analyses of the Premier League's financial health, with many experts pointing to restrictions on excessive spending introduced after Portsmouth's collapse in 2012 and the gravity-defying rise in broadcast revenues. But Vysyble's John Purcell told Press Association Sport he and Bell disagree with the view that football clubs are better run now than they were a decade ago. "Most of them are spending a lot more than they're taking in," said Purcell. "Across the league, clubs are losing £8.80 for every £100 they bring in, and that's based on 2015-16. I suspect it will be more like £12-13 now. The game is facing massive financial and structural risk." Purcell said only five clubs made an economic profit in 2015/16, the worst performance since 2012/13, with Chelsea and Manchester City accounting for more than half of the league's total losses over the report's eight-year period. The report's findings, however, will raise eyebrows among many fans, as it ranks relegated Norwich City ahead of champions Leicester City in its 'Profitability Index' for 2015/16 and notes that Blackpool managed five straight years in profit as they plummeted down the league pyramid. The report does, though, commend Burnley for their sustainable approach, point out that Leicester managed the rare feat of making a profit while winning the league and say Spurs are the most profitable club since 2008. The real crunch for the Premier League, according to Bell and Purcell, will come when the 70 per cent three-yearly increases in domestic TV rights dry up. Purcell said: "We're getting to the point where the cycle of ever bigger domestic TV deals is unsustainable. "I think we've had seven renewals since 1991 and they work to a formula - if we follow the trend, the next deal will have to clear £8billion. "I don't think there is any way BT or Sky can commit to that kind of money. OK, you can put on more live games, and we've seen that trend already, but ultimately dilutes the product. "I suspect we are heading towards a European Super League where the new breed of owners, many of them from North America, can organise the type of league they know and understand: fixed squads, salary caps, big TV events. "That is when I think the likes of Amazon, Google and Facebook would get interested in football rights." Bell added: "The EPL was formed to gain increased monies from broadcasting. There is nothing to stop the top six or seven clubs breaking away and joining forces with other top clubs from Italy, Spain, Germany etc, forming a European Super League and negotiating a Europe-wide or even global TV deal for many, many billions of pounds." Press Association Sport has asked the Premier League for its response to the survey. By Press Association Sport staff Manchester United had an Easter Sunday to forget as they crashed to a humiliating 4-0 defeat at Everton – a performance former defender Gary Neville described as “rancid”.